Isotopes 17 (7-4), Rainiers 9 (4-7) - Cheney Stadium - Tacoma, Wash.
AT THE DISH: After being shutout for the game's first six innings, the Isotopes scored all 17 runs in the contest's last three frames … The Isotopes scored 10 runs in the ninth inning … Albuquerque connected on three home runs on Sunday afternoon, with Noel Cuevas , Brian Mundell and Roberto Ramos each going deep. Mundell's home run was a three-run go-ahead shot in the ninth inning for the first of his Triple-A career … Ramos finished the afternoon 4-for-5 with four runs scored and four RBI. TOEING THE RUBBER: Isotopes starter Chi Chi Gonzalez allowed two earned runs over his 4.0 innings on the mound. The right-hander walked four and struck out two … Reliever Jairo Diaz earned the win after tossing 2.0 shutout innings. Diaz is currently on a 6.0 inning scoreless streak dating back to April 5. TOPES TIDBITS: The Isotopes record for largest deficit overcome was 11 runs on Aug. 7, 2010 vs Sacramento … Albuquerque's 10 runs in the top of the ninth was one shy of its team high for runs in a single inning. 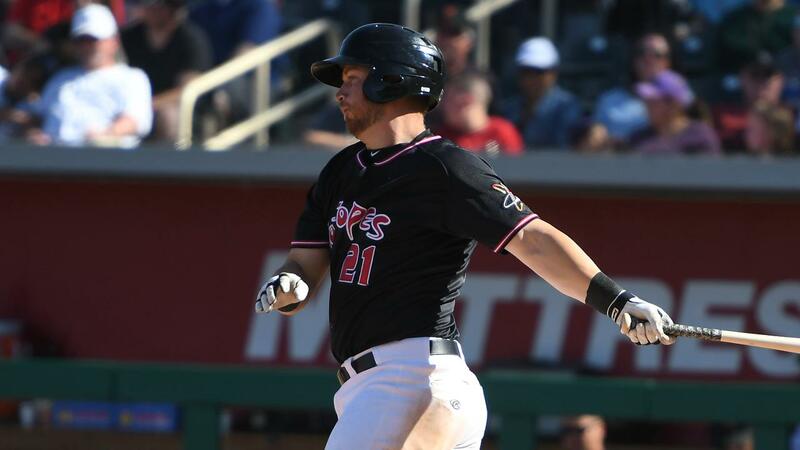 The Isotopes record is 11 which last occurred on April 20, 2014 at Salt Lake … After not having a player record at least four hits, four runs and four RBI in a single-game since 2011, the Isotopes have had two players accomplish the feat this week. Ramos achieved the mark Sunday afternoon while Cuevas compiled five hits, five runs and five RBI on Tuesday at Reno.